A delicious way to develop color and shape identification–circle, square, triangle, rectangle, diamond, hexagon, start, and heart. Cupcakes pull apart to reveal shapes. Match the shapes to put them back together. Then, match the shape to the pan bottom. 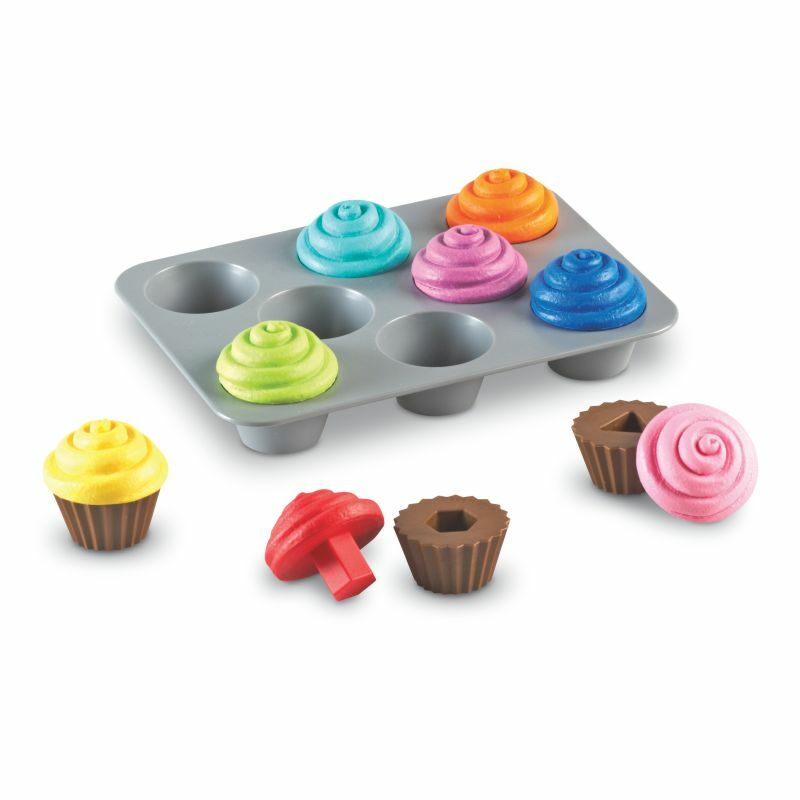 Includes pan and eight 2-part cupcakes measuring 2″H x 1½” in diameter.